But what if it's a rainy wedding? Five, 10 and 25 years from now, the very last thing on your mind will be the weather on your wedding day. You've found the person you want to share a lifetime with, that's just awesome, so in the grand scheme of things, a rainy wedding is probably the least tragic thing that could happen. But it is a very very good question, there should always be a back up plan, and you should never let it bother you. Here are some basics on preparing your rainy wedding back-up plan. It is just rain, so breathe and smile. Make the best of it, embrace it, and most of all don't let it bother you, your guests will enjoy every minute just as long as you are too! 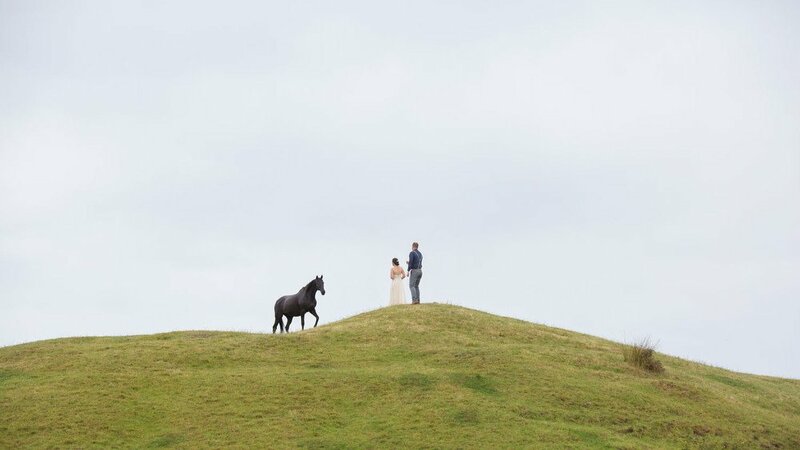 If you are planning an outdoor wedding, make sure the location/ or venue has a back up plan just in case. Some will have an indoor option, check it will house all of your friends and family comfortably. Consider a stretch tent or marquee if there isn't an indoor option. Come prepared with extra umbrellas that you can leave around the venue. You can also buy or hire some that complement your style to use them in photos. Organise yourself and the bridal party some boots to switch into for the photo session. We all know the weather in New Zealand is a bit ridiculous right? It can be pouring cats and dogs for the morning, then clear right up later on... If your heart is set on an out door ceremony, be flexible, but decide on a time you are going to make that call. Of course having a photographer who rocks, and who knows what to do what-ever gets thrown her way, can totally make a difference! Annie and Tom met while Tom was backpacking through NZ, staying with a work friend of Annie's. Tom came in one day to collect the house key and then later that night texted Annie. They went out for lunch the following day, one thing led to another... after four months of long-distance dating, Tom officially moved over to live in NZ with Annie. 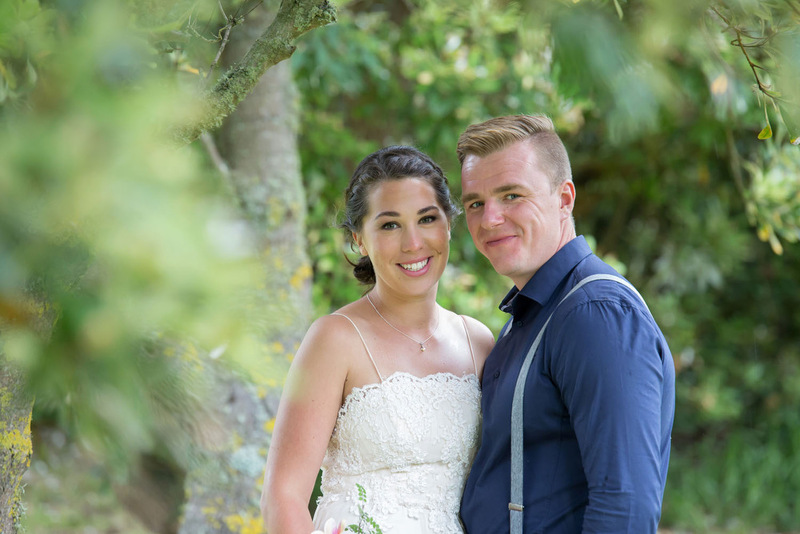 Their wedding was at a family home in Te Horo, it started to rain, just after the ceremony. For the photo session, they started with umbrellas, but didn't actually mind getting a little wet (after all they they just got married!). They ditched the umbrellas and sheltered under trees and around the barn. It was drizzling so lightly by the time they got to do some photos with the horses, they just headed out into the fields without cover. Thanks to Annie and Tom for sharing! Photos courtesy of Jo Moore. Flowers by Style me Flowers The dress was Annie's mum's, altered by the talented Alison Blain.